Choose the day and time you are likely to attend most regularly. This helps us with coach staffing numbers. You may still attend ALL other group training days. Based on your realistic goal race pace after 10 - 15 weeks of training. Waiver and Release of Liability Statement. I am aware that joining the Revolution Running Program will include cycling, running, swimming and walking and that these activities involve risks. I understand that traffic will be on group ride and run course routes. I assume the risk of riding, running or walking in traffic. I also assume any and all other risks associated with participating in the program including, but not limited to crashes, falls, contact with other participants and trail users, the effects of weather, including heat and/or humidity, cold, wind, snow, rain, or ice and the conditions of the roads, all such risks being known and appreciated by me. 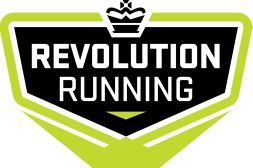 I should not participate in the Revolution Running program unless I am medically able and physically capable. I understand that I am solely responsible for my own safety while traveling to and from or participating in this program. I hereby for myself, my heirs, executors, administrators or anyone else who might claim on my behalf covenant not sue, and waive, release, and discharge Revolution Running, North Training Solutions LLC, Ewen North and Heather North or any sponsor or contributor to this program, any official or volunteer, any city or municipality, their representatives, successors or assigns, from any and all claims of liability for death, personal injury or property damage of any kind or nature whatsoever arising out of or in the course of my participation in this program. The Release and Waiver extends to all claims of every kind or nature whatsoever, foreseen, known or unknown. I agree to the above waiver. Credits for future program may be given in certain cases.